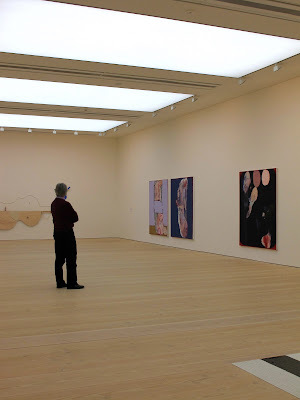 I recently went to an exhibition at the Saatchi Gallery Newspeak: British Art Now Part II. Aimed at giving an insight into the art being made in the UK today, the new YBA’s as it were. I always like a gallery, museum or historical building to have a mooch and gain inspiration. Whilst the art was the reason for going to the Saatchi I have to say the building alone is worth a visit. 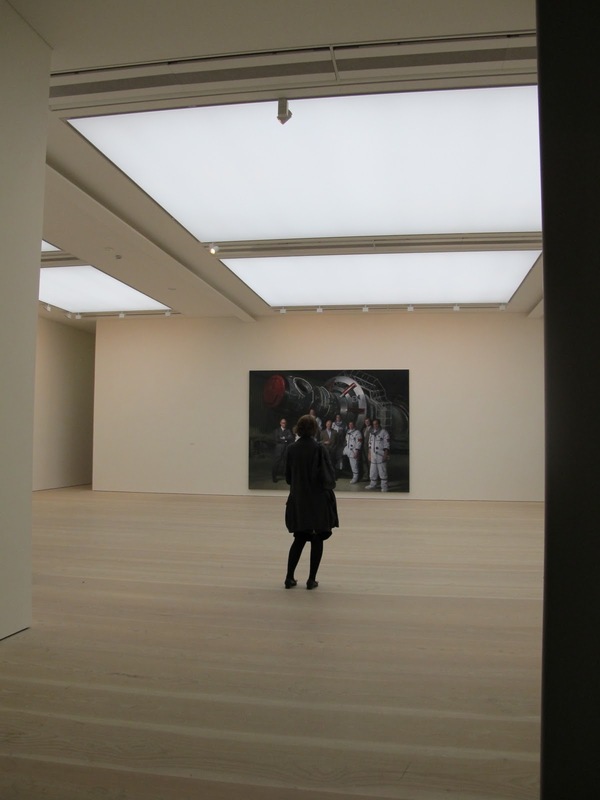 The Saatchi Gallery is in the listed Duke of York’s HQ building in Chelsea with over 67,000 sq ft of gallery space most of which is contained in the original classical Victorian building. The gallery has clear and simple interior spaces so that the art is the focus. With an ERCO lighting scheme based on stretched fabric light boxes the gallery spaces are fantastically evenly lit. In some rooms the ceiling heights are over 4m, completely jaw dropping. With a neutral palette throughout white walls are stripped of all detail such as door architraves, mouldings and skirting boards. 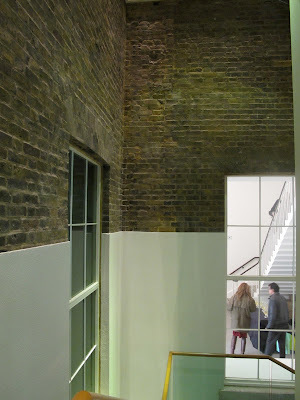 Floor to ceiling openings some with pivoting doors create interesting vistas between the white spaces. 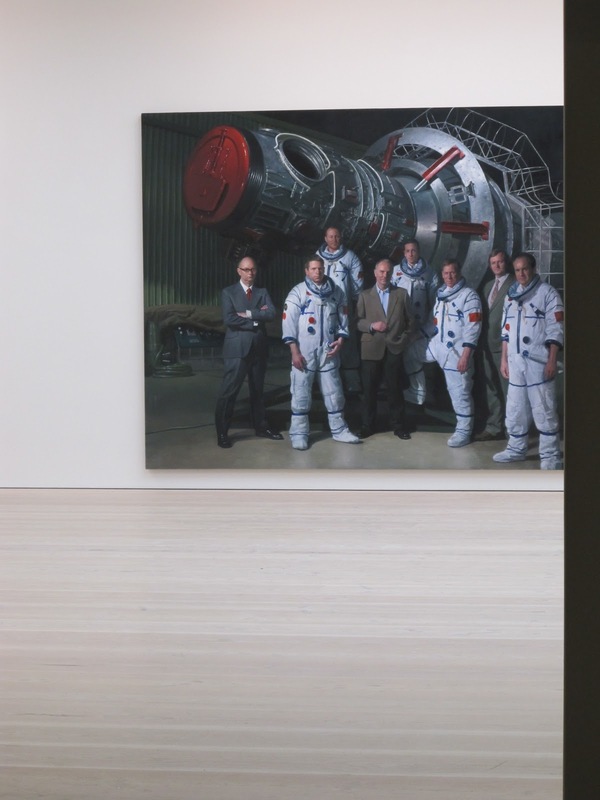 However it’s the floors that are the scene-stealers, from Dinesen the distinctive wide timber floor planks are 450mm wide and span the full width of the gallery and are finished in a white stain. I want to use them so badly but so far no project has had the scope, but one day I am going to use this beautiful and elegant product. As for the art, Jonathan Wateridge’s ‘Space Program’, the Loved Untitled sculpture by Marcus Foster and Richard Wilson’s 20:50 were my favourites. Wateridge’s blown up photograph felt like something I might have seen a magazine. Foster’s sculpture standing at nearly 2.5 metres tall, made from steel and painted in a blue tone called to me. 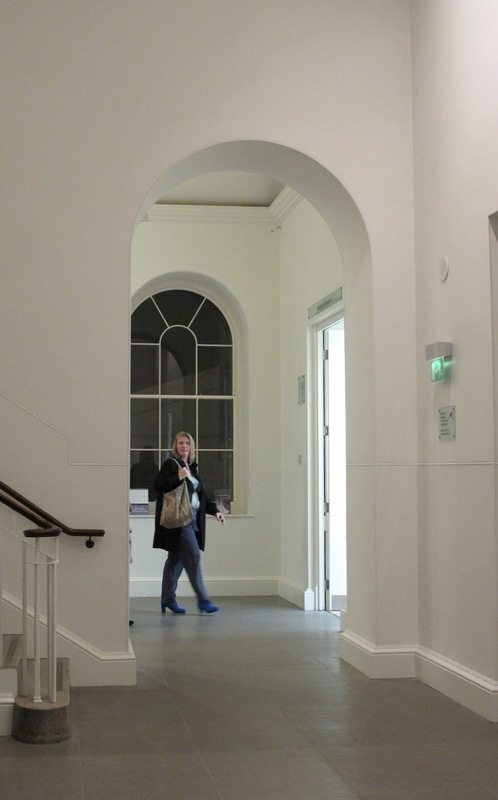 A very lovely space – much nicer than when it was at the Town Hall I think! It's so lovely and like I say the floors are heavenly. Its interesting looking back at my photo'd though as I hadn't noticed the rosy tone whilst there.